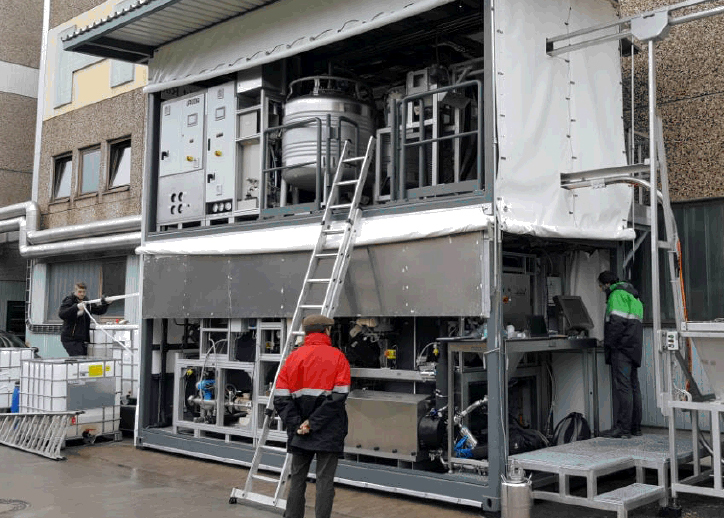 Since the end of November 2017, specialty chemicals company LANXESS has started the operation of a pilot plant for the in situ production of the retanning agent X-Biomer in practice. In the modular system installed at the HELLER-LEDER tannery in Hehlen, Lower Saxony, the first ton of high-quality liquid X-Biomer was produced under real operation conditions. It was made from two cubic meters of wet white shavings. The joint project “Resource-efficient production of leather chemicals” (ReeL) is a cooperation between LANXESS, INVITE and HELLER-LEDER. It is supported by the Federal Ministry of Education and Research (BMBF). The test operation at HELLER-LEDER will run until the end of 2018.